We offer a comprehensive logistics management service for our customers. You can rely on us to facilitate the secure and accurate transportation of your equipment. Our highly experienced shipping team has been supporting operators around the world for nearly three decades. 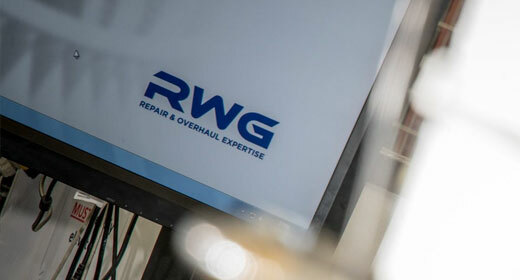 We offer a seamless transportation solution by utilising the services of our own approved haulage contractors, freight agents and customs brokers, all of whom operate to RWG’s stringent loading, securing and handling procedures. Within the UK, we arrange transportation by road using specialised air-ride trucks. Internationally, we align our logistics with your specific requirements. We’ll use a combination of air-ride trucks and airfreight, either by passenger or cargo aircraft. And we can also arrange sea freight if required, where transit and turnaround times permit. As an RWG customer, you’ll benefit from our ‘Known Consignor Status’ issued by the UK Civil Aviation Authority and Department for Transport. This enables us to airfreight goods without restriction and delay. Get in touch with us to discuss how our logistics management service can deliver value to your operations.